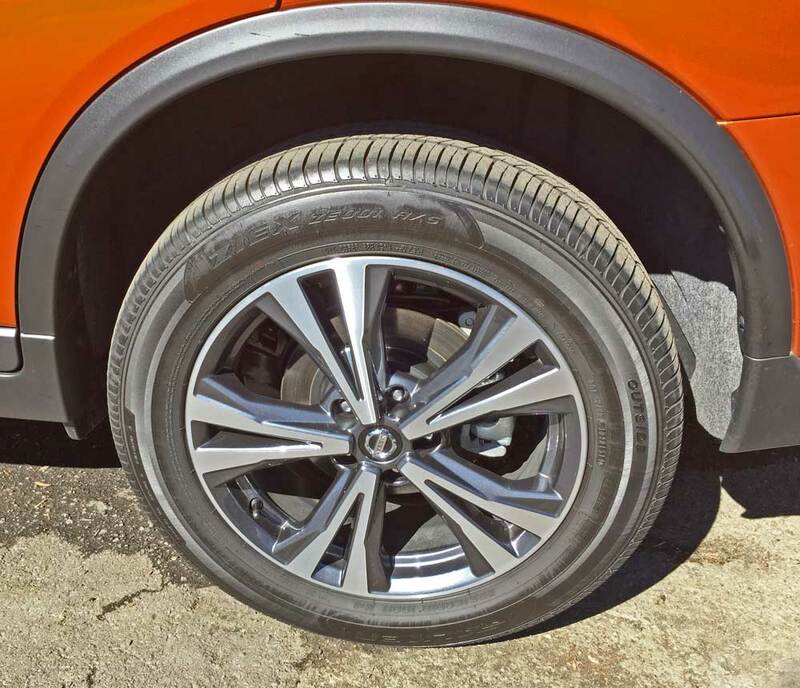 On the heels of extensive enhancements made for 2018, the 2019 Rogue serves up a host of significant updates, including: a new S grade Special Edition Package featuring 17-inch aluminum-alloy wheels, heated exterior mirrors with integrated LED turn signals, leather-wrapped steering wheel and shift knob, heated driver’s and front passenger seat, chrome exterior and interior door handles and roof rails; a new SV grade Premium Package with 18-inch aluminum-alloy wheels, ProPILOT Assist and electronic parking brake; the availability of expanded technology, including standard Lane Departure Warning; Intelligent Lane Intervention; Automatic Emergency Braking with Pedestrian Detection and High Beam Assist across all grade levels; Rear Automatic Braking and Rear Sonar System added as standard on SV and SL grades; innovative Rear Door Alert added to all grade levels; ProPILOT Assist and 19-inch aluminum-alloy wheels as standard on SL grade Rogues. ProPILOT Assist is now available on SV grade comes as part of both the Premium and Sun and Sound Touring Packages. 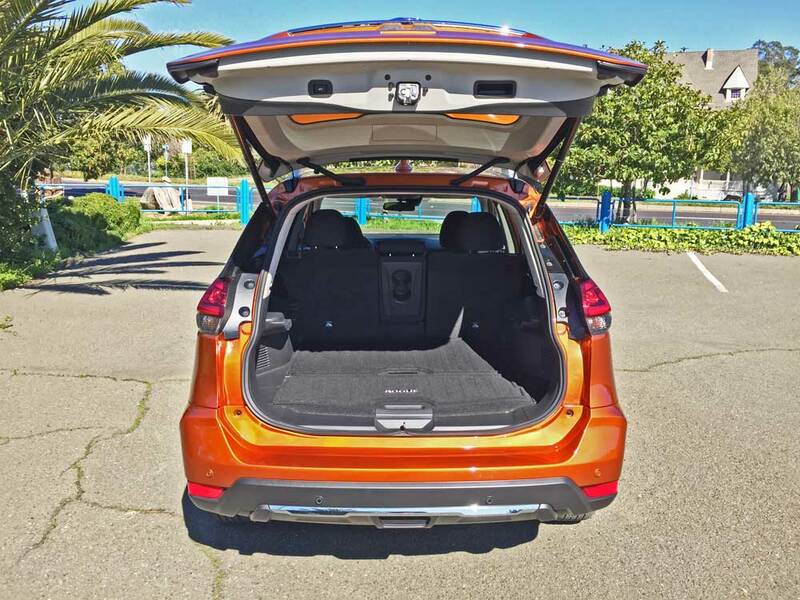 Other details such as wide opening (77 degrees) rear doors for easier entry and exit to the rear passenger space add to the Rogue’s utility – along with an available Motion-Activated Liftgate (standard on Rogue SV and SL grades). The latest Nissan Rogue continues to exhibit “Biokenetic Synchronicity”, a harmonious blend of form, versatility and functionality in one design package, while the interior displays comfort, premium quality and meaningful efficiency. 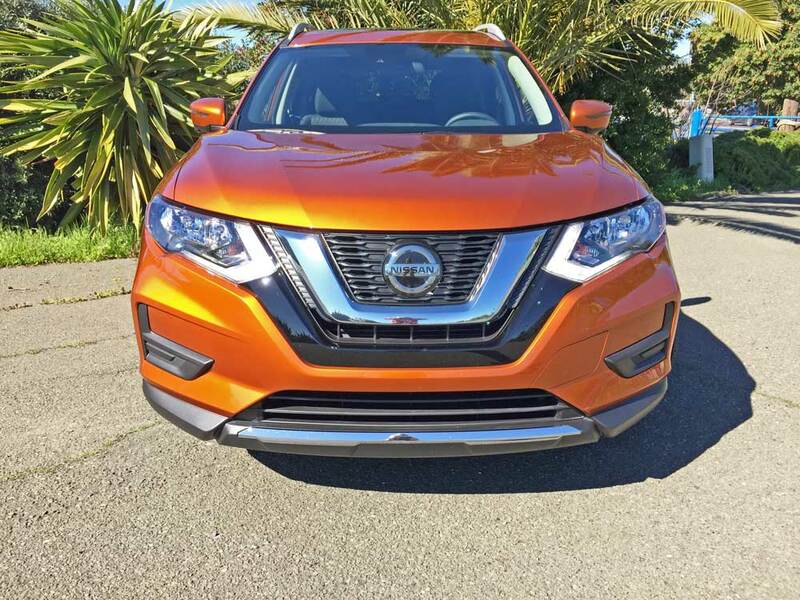 Exterior enhancements include Nissan’s signature “V-Motion” grille and headlights with LED signature Daytime Running Lights leading off the Rogue’s dynamic presence. Halogen headlights with auto off function are standard, along with Intelligent Auto Headlights. Also available are LED headlights with an auto on/off function, High Beam Assist and fog lights. In the rear are combination lamps with LED boomerang signature taillights. Rogue displays a sleek, aggressive silhouette in a bold, somewhat masculine wedge shape, that should appeal equally to both genders. Wheel wells are pronounced and overhangs are short fore and aft. The body outline projects the image of a dynamic arch that stretches from the sharply sloped and sculpted hood, up over the raked windshield and roofline, and down the rearward slanted tail section. The structure optimizes maximum torsional rigidity without increasing the overall weight. Additional Rogue exterior highlights include body-color heated outside mirrors with available integrated turn signals, a rear spoiler, privacy glass and roof rails. Rogue’s available power panoramic moonroof offers a wide view through its extended length. The front glass panel slides and tilts, while the rear glass panel is fixed. When in the open position, the front panel slides beneath the fixed second panel. 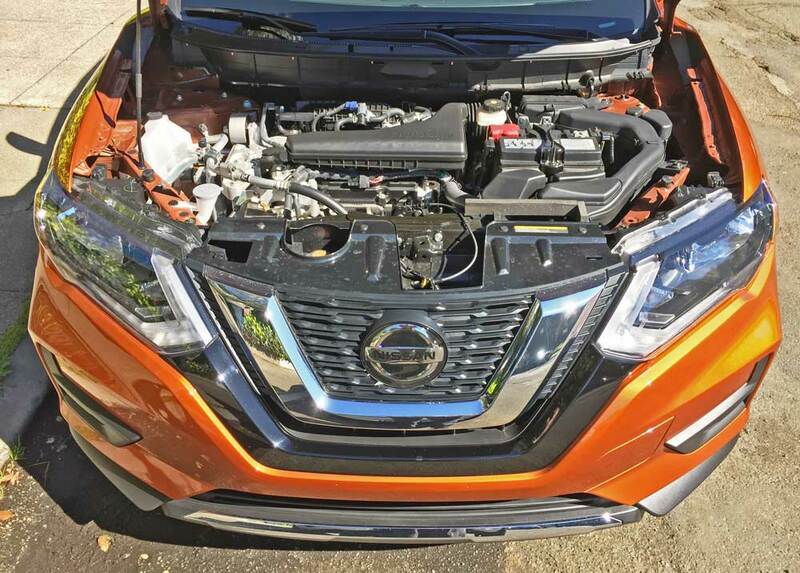 The Nissan Rogue’s singular power source is now a 2.5-liter 4-cylinder engine rated at 170 horsepower and 175 lb-ft of torque. The engine is mated to an advanced Xtronic transmission with standard Sport Mode and Eco switches. Fuel economy is rated 25 mpg city, 32 mpg highway and 29 mpg combined for front-wheel drive models. Rogue AWD models are rated at 25 mpg city, 32 mpg highway and 27 mpg combined . 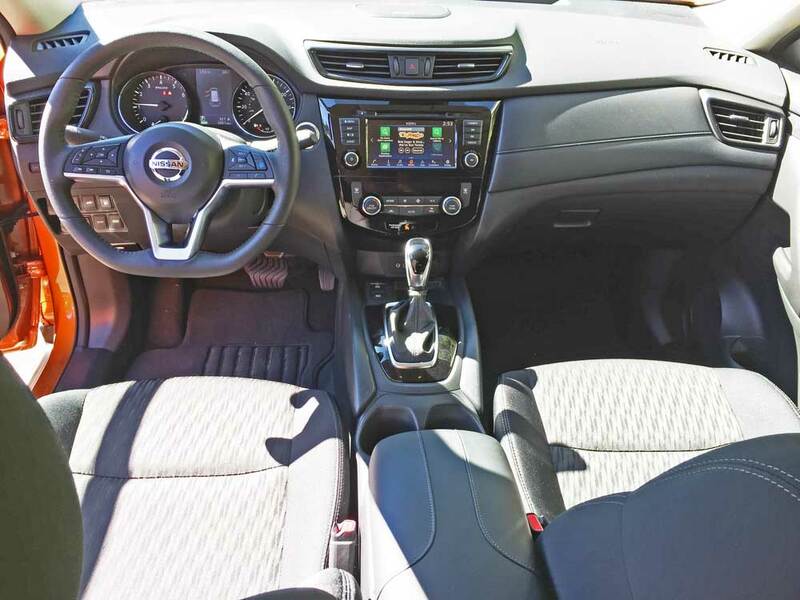 The Rogue’s cabin delivers a premium look and feel. 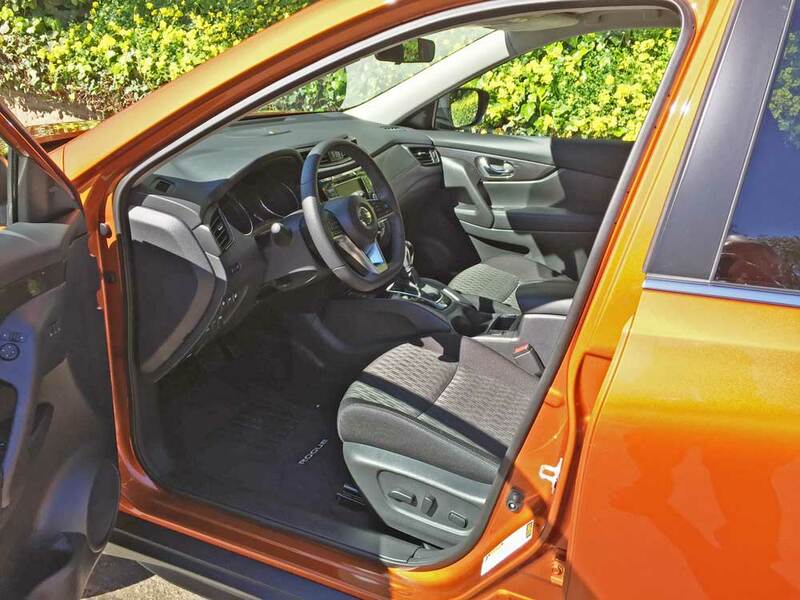 Interior features include a D-shaped steering wheel and leather-booted sport-mode shifter, an available heated steering wheel, memory for driver’s seats and mirror, and remote engine start. Every seat except the driver’s easily folds down. The front passenger seat folds rearwards, allowing the transport of longer items when combined with the flat folding 40/20/40-split 2nd row seat. Rogue also offers a Divide-N-Hide® Cargo System that provides 18 adjustable variations between the cargo and occupant areas. The front bucket seats are a special Zero Gravity design. The driver’s seat is 6-way adjustable, with an available power adjustment including lumbar support, while the front passenger seat is 4-way adjustable. Quick Comfort heated front seats are available. Also available are dual-zone automatic air conditioning and Bose® audio system with nine speakers. Gauges and switchgear are sporty and well positioned for ideal user-friendliness in the sporty, driver-oriented cockpit. Also available are dual-zone automatic air conditioning and a Bose audio system with nine speakers. Rogue’s safety and security benefit from the addition of: Intelligent Cruise Control, Forward Emergency Braking with Pedestrian Detection, Lane Departure Warning and Lane Departure Prevention, Blind Spot Warning and Rear Cross Traffic Alert has been added as standard to SV grade and High-beam assist headlights now come on SL models. Option Packages have also been added: a new Sun and Sound Touring Package, a new Platinum Package and a new Platinum Reserve Interior. Standard and expected connectivity and infotainment features include: a 4-speaker AM/FM/CD audio system with auxiliary audio input jack; USB connection port for iPod interface; and other compatible devices; Bluetooth Hands-free Phone System; a RearView Monitor, Streaming Audio via Bluetooth and Hands-free Text Messaging Assistant. 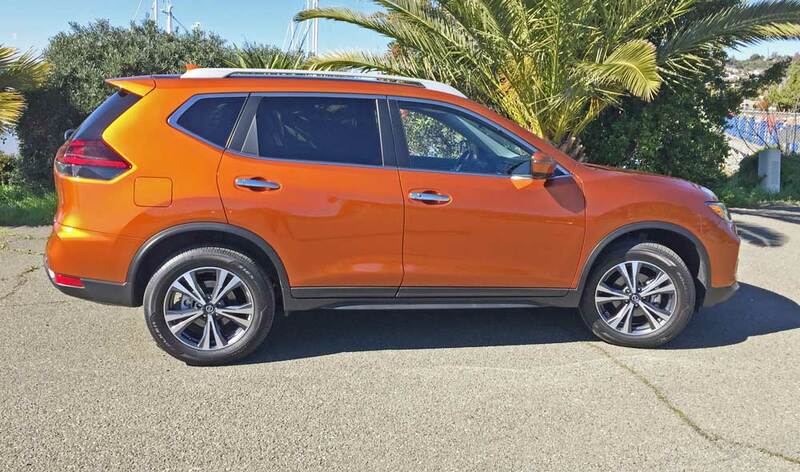 My test 2019 Nissan Rogue came in SV trim in an AWD configuration with a base sticker set at $27,570, the exterior was sprayed Monarch Orange metallic with a composite gray lower cladding all around, while the interior was done in patterned Charcoal cloth. The final sticker came to $32,770 after factoring in options and destination charges. There’s loads of standard features and a host of optionally available amenities. 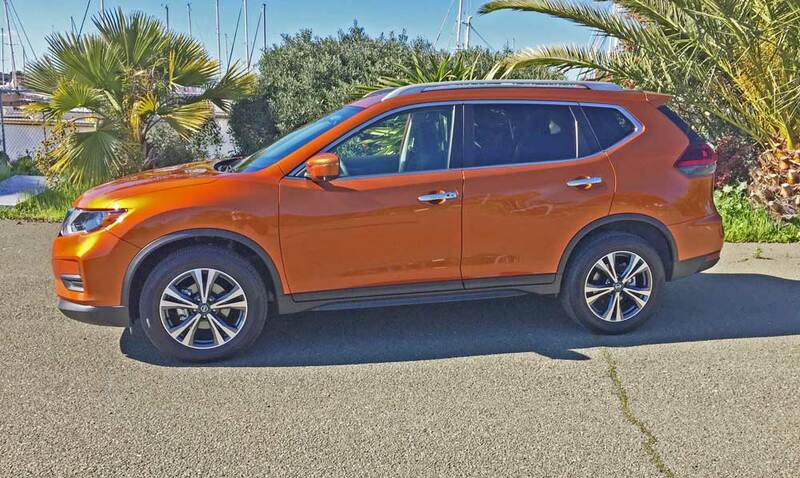 Sizewize, the Nissan Rogue seems to be “just right” with Its crossover designation placing it in a unique category, delivering the agility and nimble handling characteristics of a sporty sedan, while providing the added versatiliity required by many without being oversized. It is fun to drive, easy to park and economical to operate. Rogue’s practical utility features include a variety of cupholders, memo/pen holder, coin holder and cell phone/sunglass holders. NissanConnect provides connectivity and infotainment, with the choice of a Display Audio and Navigation system. The Audio version provides a 5-inch color display, while the Navigation version comes with a larger 7-inch touchscreen. 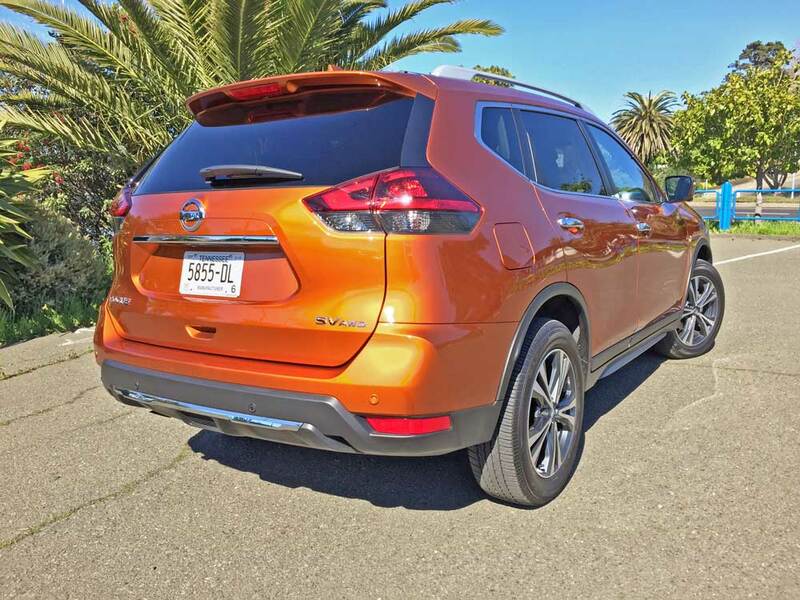 Bottom line, the 2019 Nissan Rogue SV AWD fills a viable spot in Nissan’s lineup. It provides a fun-to-drive quality in an aggressively styled, performance-oriented package. 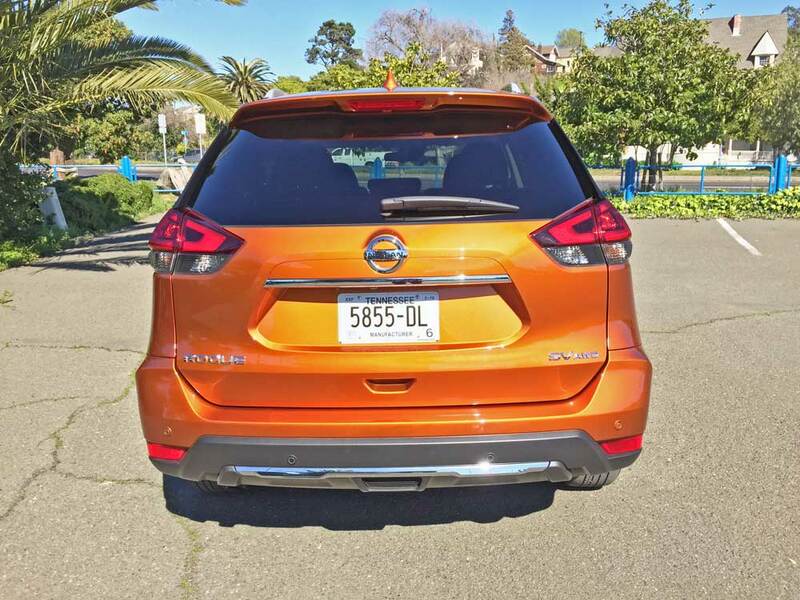 The 5-passenger crossover delivers more functionality and versatility than a sedan, with unique storage capability throughout. 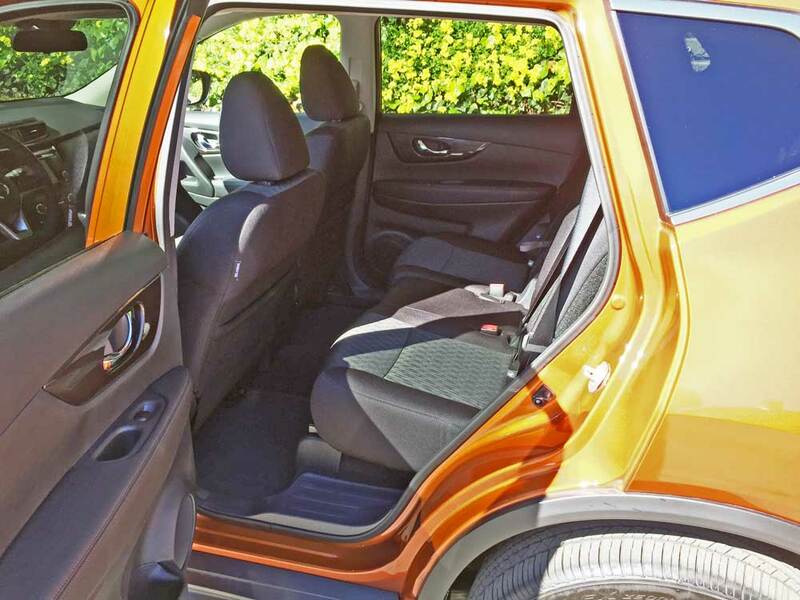 The Rogue’s exterior design delivers a satisfying visual appeal with sporty styling in an attractive package, while the interior offers a pleasant place to be, with comfort and a positive ambience. The entire package is affordable and represents an outstanding value. Engine Type and Size: 2.5-liter, DOHC, 16-valve inline four-cylinder with sequential multi-port electronic fuel injection. Transmission: Xtronic CVT with Sport and ECO mode switches. Drive Train: Transversely mounted front engine / 4-Wheel Limited Slip (ABLS) and Hill Start Assist. Brakes: Power-assisted four-wheel discs with ABS, EBD, BA and G sensor for AWD. Tires: Falken Ziex A/S 225/60 R18 100H mounted on 5-“V” spoke machine face with painted inners alloy wheels. Height: 68.5 inches with roof rack.